Dr. Coirin graduated the medical school from the University of California Davis School of Medicine. He did his internship at the Mount Zion Medical Center University of California and completed his residency program at the San Joaquin General Hospital. He is specialized in General Surgery and board certified in Surgery. 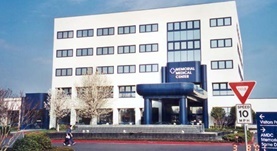 Dr. Coirin has been in practice for more than 20 years and is affiliated with the Memorial Medical Center. During his career, he has also contributed to 1 publication of medical interest. Dr. Antonio Coirin has contributed to 1 publications. Effect of 4'-doxorubicin analogs on heterotransplantation of human tumors in congenitally athymic mice. Giuliani, F. C., Coirin, A. K., Rice, M. R., Kaplan, N. O.; Cancer Treat Rep. 1981 Nov 01.